Ur-Quan Masters Game - Download and Play Free Version! After having left mother Earth 20 years ago you return to find the war which had been raging when you left ended; the evil Ur-quan are now reigning supreme in the world. Being one who will not tolerate these evil aliens acting as overlords to your people, you choose start a rebellion and turn the tide back to the humans. Liberating Earth will not be easy, but with your skills in organizing a rebellion, flying a spacecraft and being a master strategist... do the evil aliens really stand a chance? 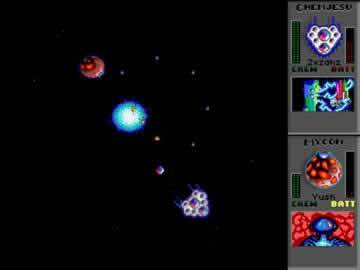 Destroying these aliens might be difficult if you are a sensitive type because they are so interesting! Each race seem to have their own ways of thinking, their own ways of communication and ultimately different values and backgrounds. Watch dialogue which is witty and interesting transpire before your eyes. Actual battle in Ur-Quan Masters is realistic, but not so tedious like many other strategy games. 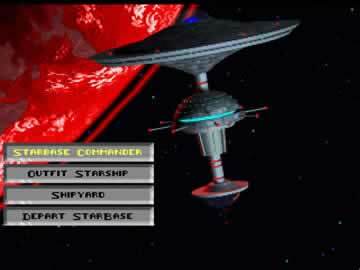 You will find as you go through this game it feels kind of like a Star Trek series where you get involved and sucked into the story line. 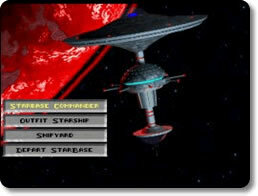 Learn more about truth, love and freedom as that is what seems to be the themes of this classic sci-fi game. If you are a sci-fi fan, you have got to give Ur Quan Masters a try!